AUSTIN, Texas (BRAIN) — The Professional Bicycle Mechanics Association is getting off the ground with its first board of directors, elected during a conference call last week. The association has named five board executives and confirmed an additional four members-at-large. WILTON, Conn. (BRAIN) — Guru has released its global 2016 bike fit education course schedule for the Guru Academy's headquarters in Connecticut as well as Guru Academy Education Centers around the country. Editor's note: John Barnett is president and founder of Barnett Bicycle Institute in Colorado Springs, Colorado. He supplied this detailed "how-to" on adjusting a quick release following the industrywide recall action in late September. ST. PAUL, Minn. (BRAIN) — Park Tool's redesigned website, www.parktool.com, has expanded product information with an increased educational section focused on helping professional and home mechanics diagnose and repair bicycles. 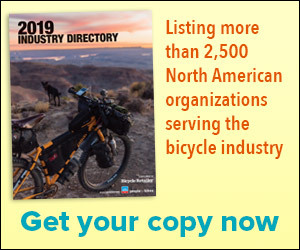 SAN JUAN CAPISTRANO, Calif. (BRAIN) — Interbike has announced several new and returning retail education opportunities at this year's show. BOULDER, Colo. (BRAIN) — TrainingPeaks has entered into a partnership with the National Interscholastic Cycling Association to provide discounted training software and educational content for interscholastic mountain bike team coaches. SAN JUAN CAPISTRANO, Calif. (BRAIN) — Interbike has expanded its retail education schedule for this year's show. WASHINGTON, DC (BRAIN) — The League of American Bicyclists has launched a new website that includes interactive features to help cyclists connect with local riding clubs, bicycle-friendly businesses, bike educators and other resources in their area. ASHEVILLE, NC (BRAIN) — The Mann Group has launched a new training program for retailers in the cycling, outdoor and running industries. Mann University is a five-module curriculum that will run in four sessions in 2013. ST. PAUL, MN (BRAIN)—John Barnett, founder and president of the Barnett Bicycle Institute, will make a presentation to attendees of the 2010 Park Tool Tech Summits.